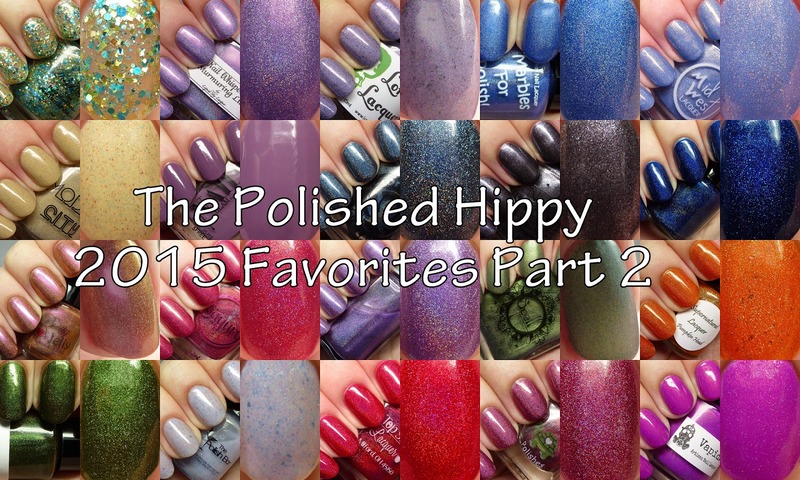 I've got Part 2 of my yearly favorites for you today! Again, this is just a small sampling of the amazing polishes I wore in 2015 - I had to limit it to ones I had already photographed, but man, it makes me wish I had more fingers! If you missed it, Part 1 is here. Let's get started! Lavish Polish She Sees All was part of the inaugural Awesome Sauce Indie Box. I enjoyed this on its own, with a nice combo of shiny glitters and shimmer flecks, but it can also be used as a topper. It is so delicate. 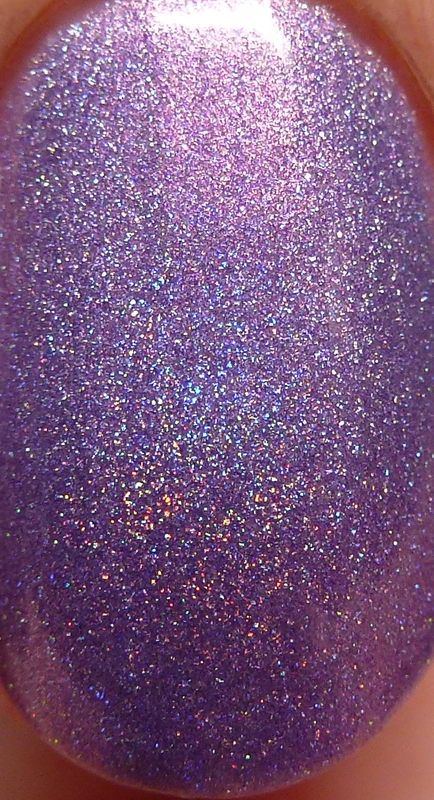 Liquid Sky Lacquer Murmuring Lilac is an exclusive shade to the new Singapore-based indie polish retailer Nail Whisperer. I have become a big fan of the shop as Eugenia has great customer service and really cares about providing us with the best. 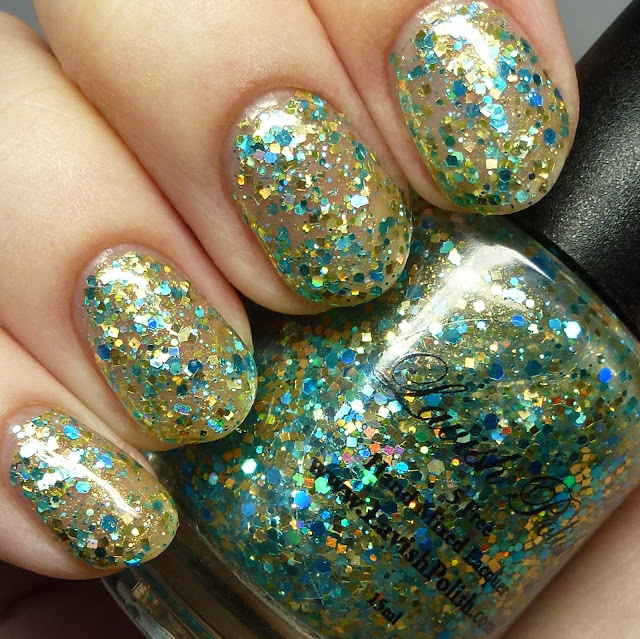 And this polish is one example! 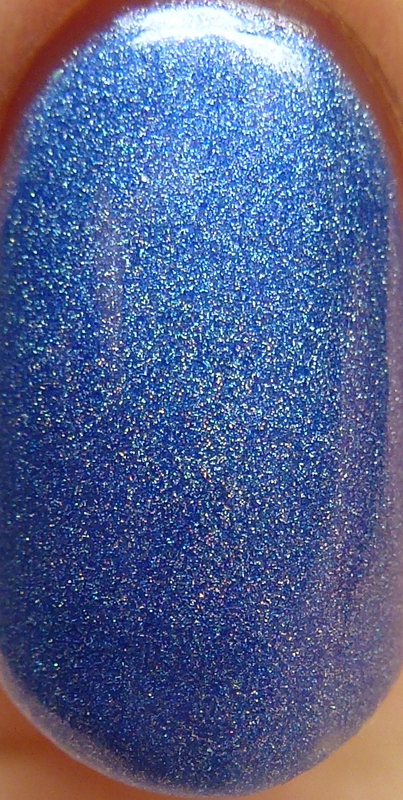 It is part of a trio of exclusives, all soft holos with lovely contrast shimmer. 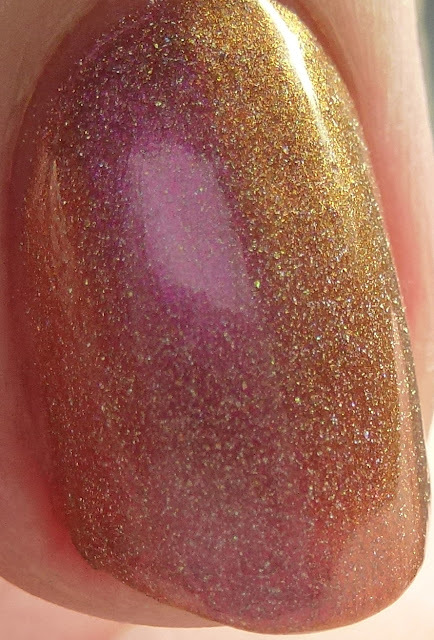 While sometimes shimmer holos can be tricky in terms of dry time or bubbling, this one is pure perfection! 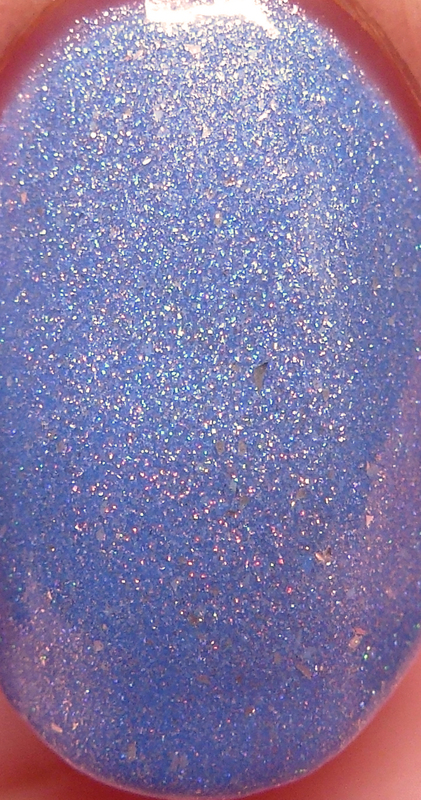 It is easy to see why Liquid Sky Lacquer is famous for their delicious holos. 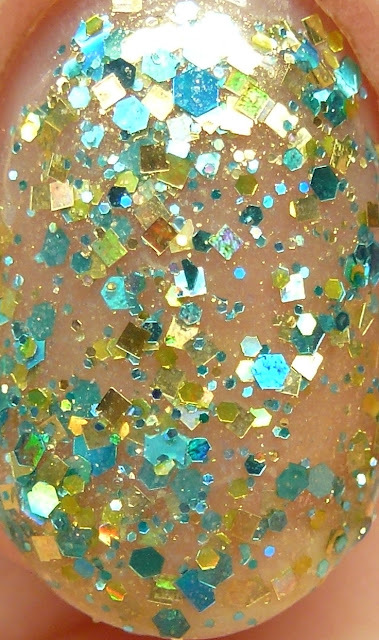 Lorelei Lacquer Zelda's Lullaby is from The Legend of Flakies Collection. While the brand is no more, I have to say they went out with a bang on this one. 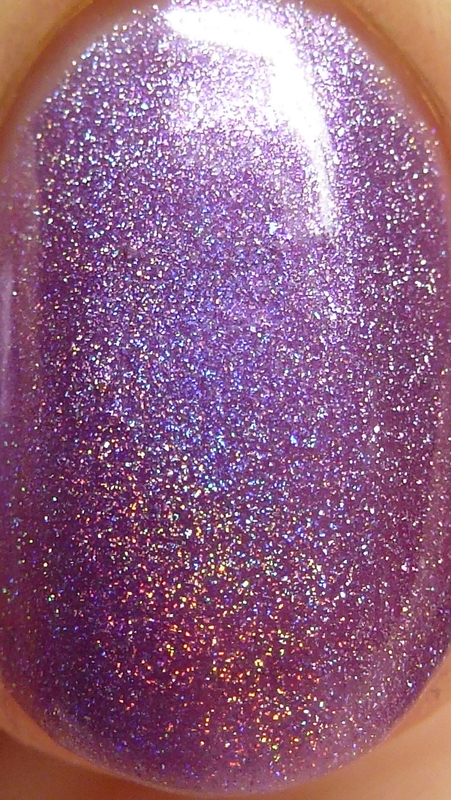 It has a wonderful mix of multichrome flakes and soft shimmer in a lavender base. It was not only gorgeous but wore like iron. 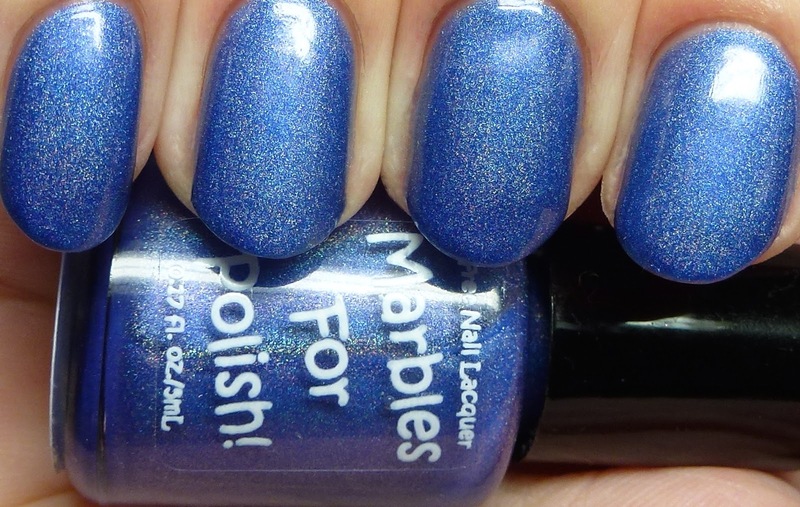 Marbles for Polish Raven came out in January 2015 and is a stunning cornflower blue holo with a great formula. This color is surprisingly rare in polish-land and I love it. It is still available, so if you like what you see, go pick it up! MidWest Lacquer Frostbite was part of the joint Holiday Collection with Top Shelf Lacquer. This was my first experience with the brand and I was completely blown away. 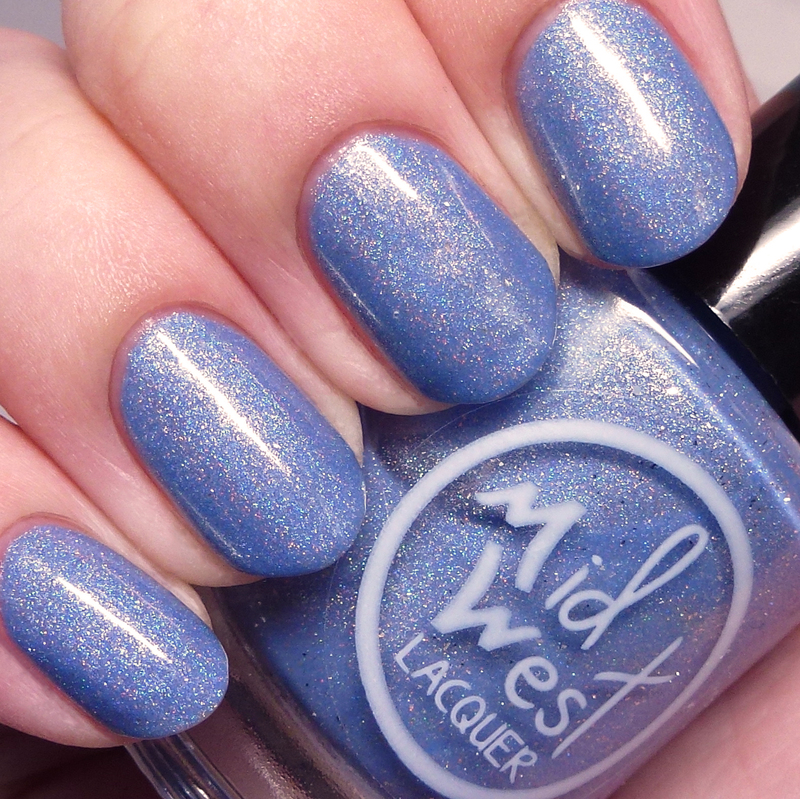 MidWest Lacquer is the polish arm of Vinyl It Up nail vinyls. The color was one of my favorite kinds of blue-purple hybrids and the gold shimmers made it sparkle in a way you just could not capture on camera. This polish inspired a couple of big orders from me! 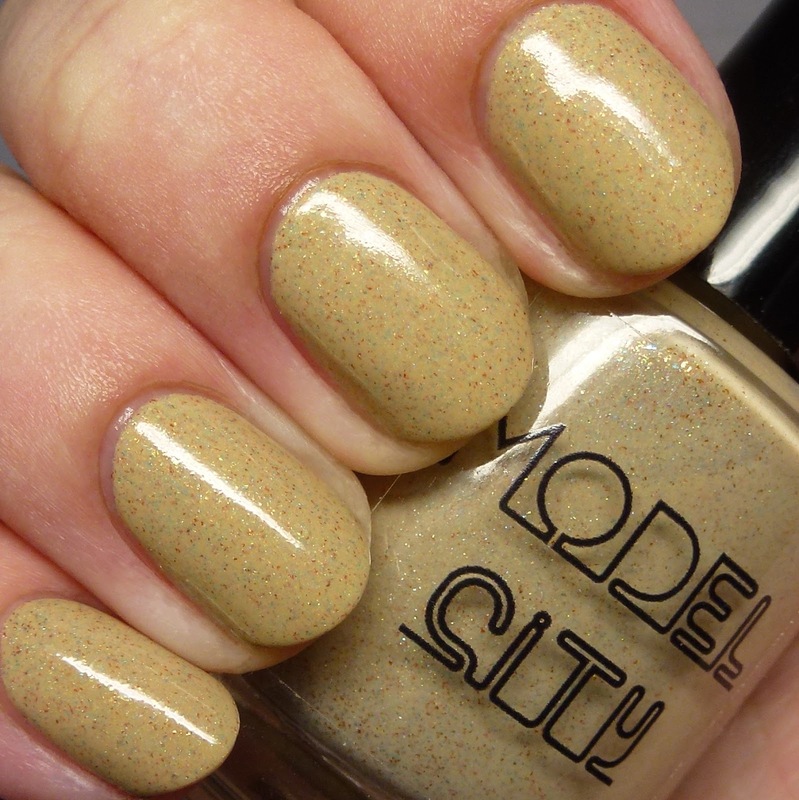 Model City Polish Bucket List was from the Destination Duo with Blue-Eyed Girl Lacquer. It was inspired by a picture Nina, the maker of Model City, took of the Grand Canyon. While Model City Polish is a perennial favorite of mine because of the gorgeous polish, fantastic service, and lovely maker, this polish was one of my favorites from her so far. 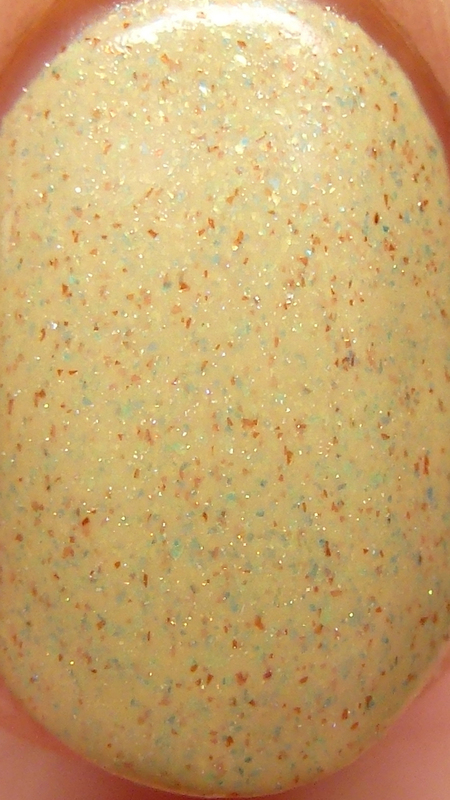 I love the different colored flecks in the creme base and think it is a fantastic neutral with a kick! I adore themed maker collaborations and I think I have all of the Destination Duos so far. It warms my heart to see some of my favorite makers work together! There are still some of the duos available in both the Blue-Eyed Girl Lacquer and Model City Polish shops so go pick one up if you are placing an order and are crazy for creamy fleck polishes like I am! Nail Glam by Jove'e Co. Purple Pumpkins is pretty much my dream-come-true where creme polishes are concerned. 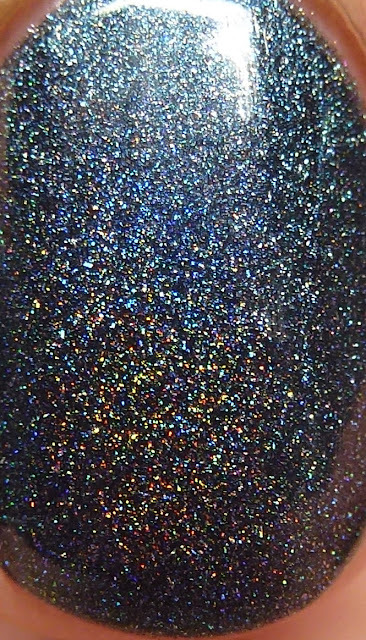 The flow was perfect, it dried quickly, was opaque in one-to-two-thin coats, and was super-shiny even without top coat. It also performed nicely in a variety of nail art. Octopus Party Nail Lacquer Polar Duress was part of the Collaboration Duo with B.I.T.C.H. by Jaclyn. 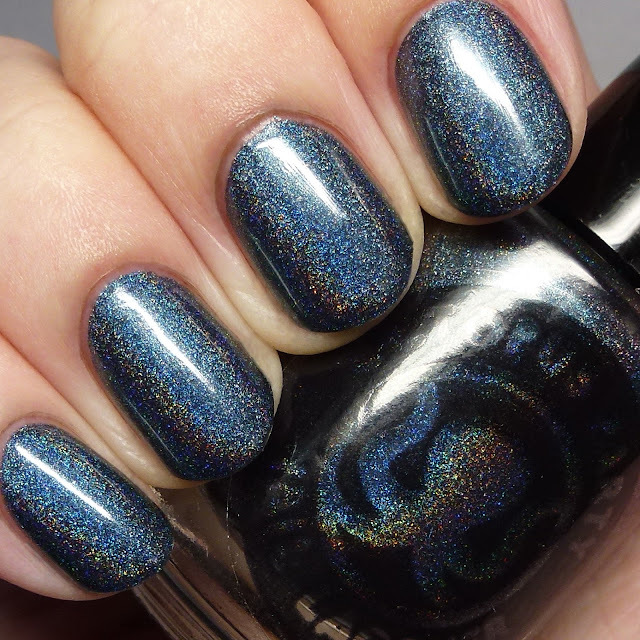 While I always love Dave's perfectly crafted and refined holos, this color just screamed sophistication to me. As usual, the formula was great and I love how he is willing to explore more muted, mysterious shades. 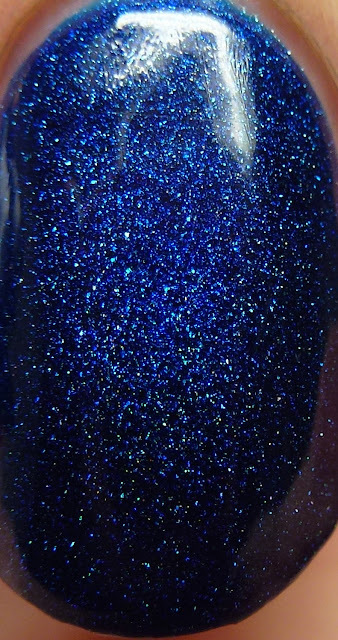 OPI Nail Lacquer No More Mr. Night Sky was from the Starlight Collection. It was a tossup whether I liked this or the amazing glowy red, Ro-man-ce on the Moon more, but I had to go with this one because of how unique it is. Hidden in the gunmetal jelly base and silver microflakes are a hint of red shimmer that gives it almost a pink tinge at times. I have never seen anything like it! Pretty & Polished Sea Spray originally came out in early 2013 (when I bought my bottle( and was just re-released this year. 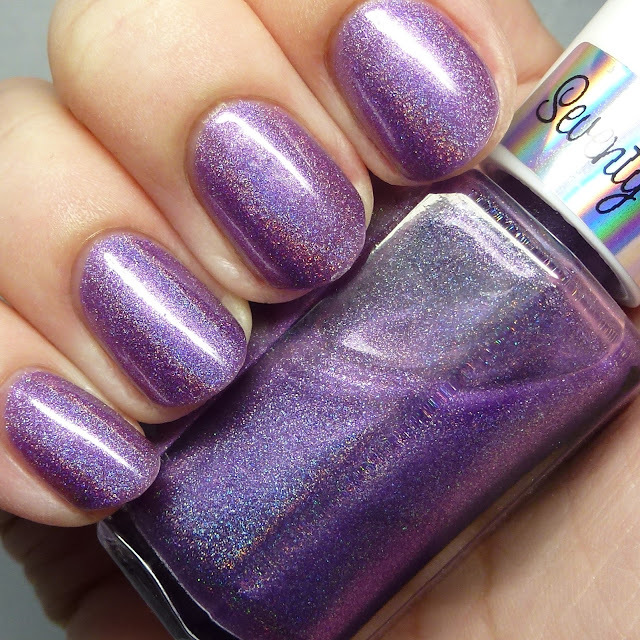 I have to say this is one of my favorites from the brand, and that says a lot because Pretty & Polished was one of the very first indies I started collecting back in 2012! This deeply rich, shiny, scattered holo is an absolute classic. 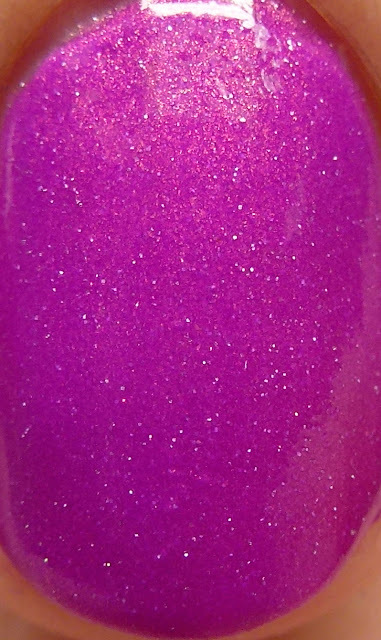 Pretty Jelly Aphrodite is from the Goddess Collection and was originally released back in 2013. I remember a Twitter discussion I had back then where we decided that this polish, and indeed the entire brand, were one of the secret treasures of indie-land! Luckily this polish is still available and I wholeheartedly recommend it! 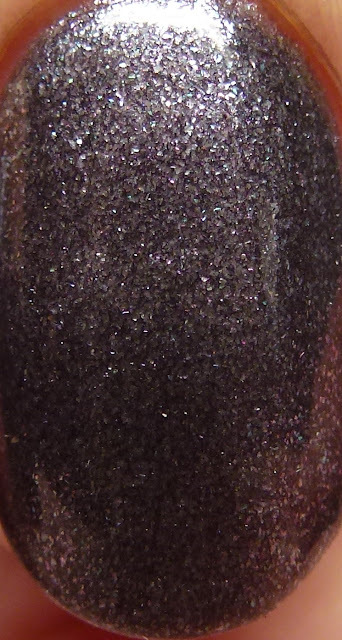 Sayuri Nail Lacquer Pyracantha is one of the exclusive polishes to Ella Ann Cosmetics. 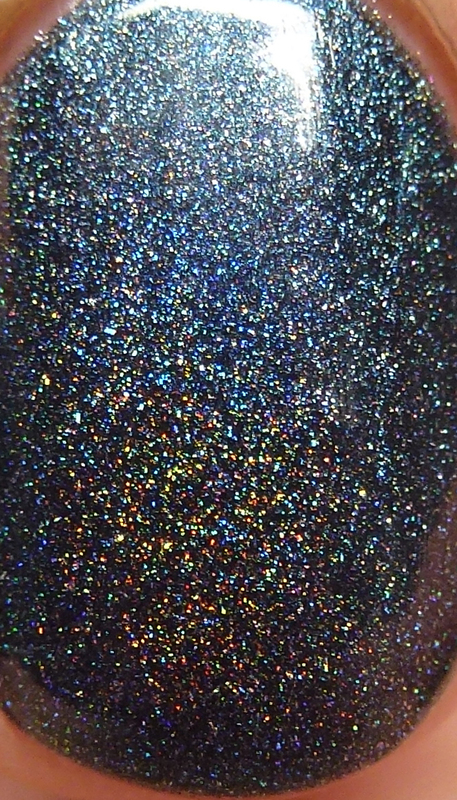 It exemplifies what the brand does so well - beautiful shimmer combos that are never overpowering but always interesting! I have bought a ton of them, especially recently. Ella Ann Cosmetics is an American-based online indie retailer that has blossomed in the last year - she offers lightning-fast shipping, great communication, and beautiful packing - one of her signatures is including cute seasonally themed rubber duckies and other toys, along with beads you can use to create your own jewelry as your orders accumulate. I have to say I have a nice row of them. And for those with kids and pets, I think it is safe to say that the little ones of the house look forward to Ella Ann orders as much as Mommy does! 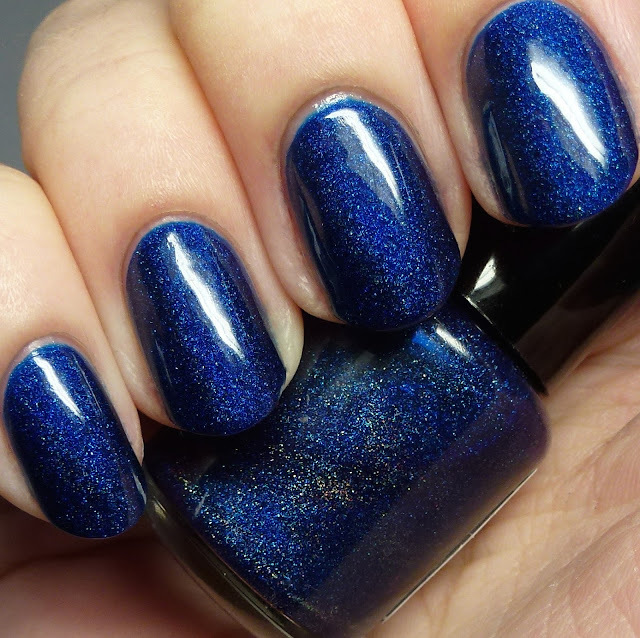 Another thing I love is that for in-demand polishes, Ella Ann frequently does pre-orders so no customer walks away disappointed - that is SO appreciated! 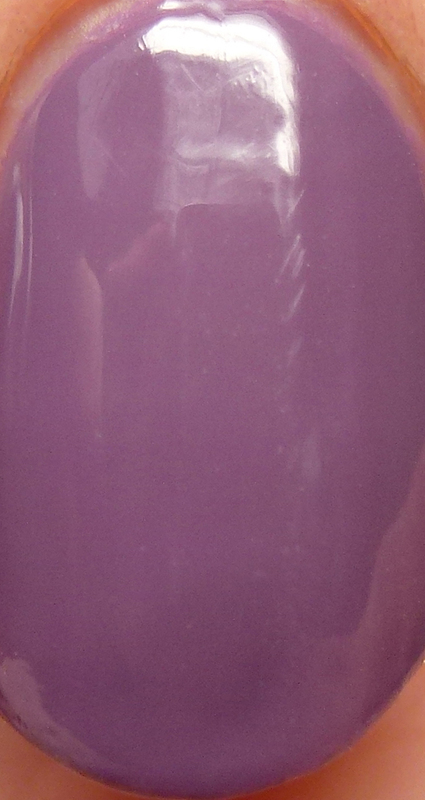 Seventy-Seven Nail Lacquer Purple No. 77 came out with the launch of the brand, and I have to say after trying this one I was hooked! It is a jelly holo with blue microflakes. Seventy-Seven is a new brand and it has been lovely to see how much it has grown and developed in the last year - I certainly have been back again and again to place orders. Spell Polish Toe of Frog was from the Macbeth-themed A Charm of Powerful Trouble Collection that came out for Halloween 2014. I was really curious to try the brand, as the polishes were pricey and I wanted to see if they performed as well as they looked. I was not disappointed! 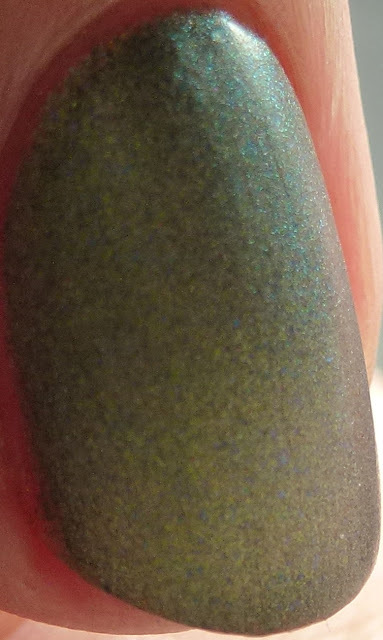 This polish was a standout as it is completely unique in my collection. It is a matte duochrome with shimmer flecks that almost looks airbrushed. While mattes have a reputation for chipping quickly, this one did not. Color me impressed! 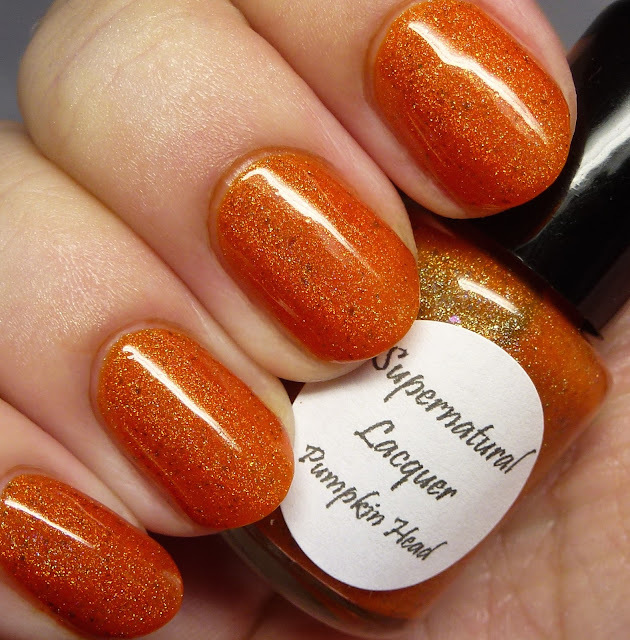 Supernatural Lacquer Pumpkin Head came out with the Awesome Sauce Indie Box You're Invited to the Mash! Halloween edition. 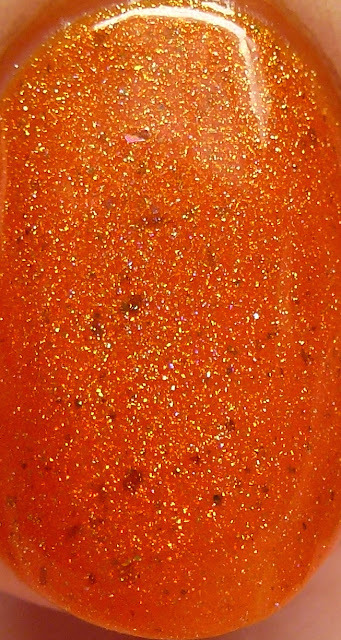 I adored this perfect orange jelly holo with gunmetal flecks. Somehow I am always enamored of darker flakes in a lighter base. I went back and bought a lot from the brand after this experience. Are you seeing a theme here? These boxes have been great for getting me to try new brand and fall in love. 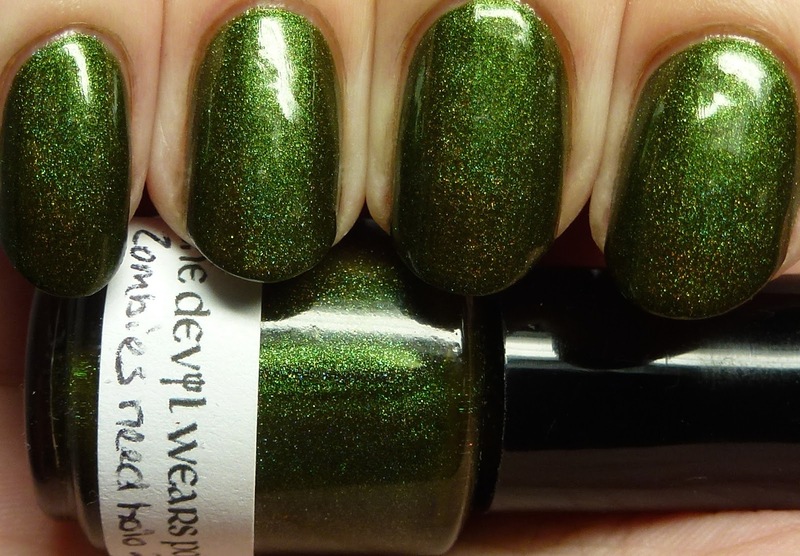 The Devil Wears Polish Zombies Need Holo 2 was from the Halloween 2014 Collection, which I reviewed in early 2015. 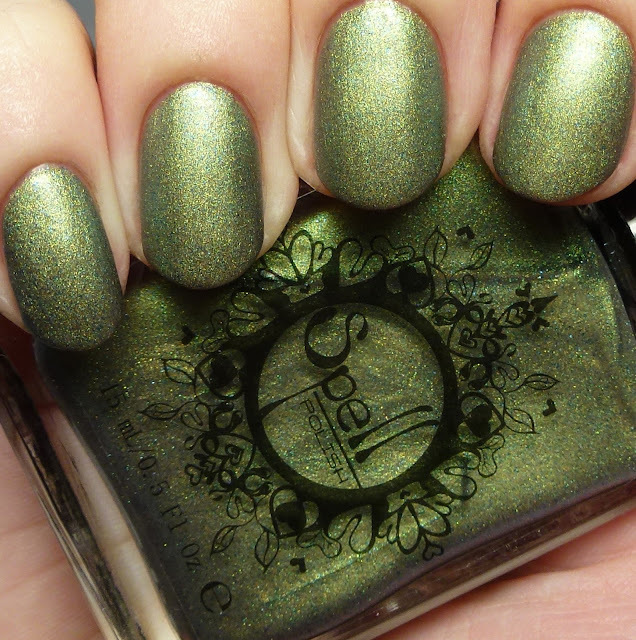 The whole collection was pretty much murky, complex polish heaven - these kind of browns and greens are always ones I love and this one was a unique standout for me. Sadly, Tami, the maker behind the brand, suffered some major tragedies this year that resulted in losing most of her old life, including polish-making. I hope so much that she might be able to come back at some point as her polishes are some of my absolute favorites! The Polish Bar Sweet Pea was from the Spring 2015 Collection. Janice is such a master at creating ethereal, soft jellies like this one! I love the liquid, translucency and the slightly contrasting flakes. 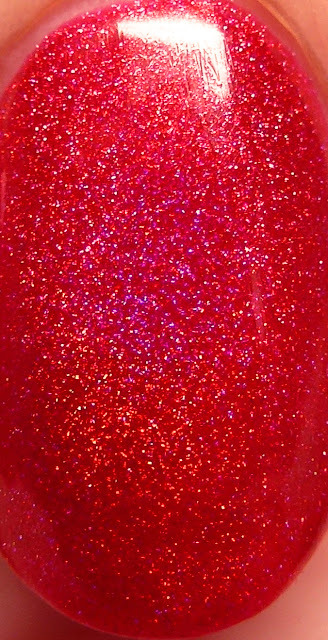 Top Shelf Lacquer Jingle Jangle Punch is another polish from the Holiday Collection with MidWest Lacquer. This red jelly holo is just so festive and perfect! 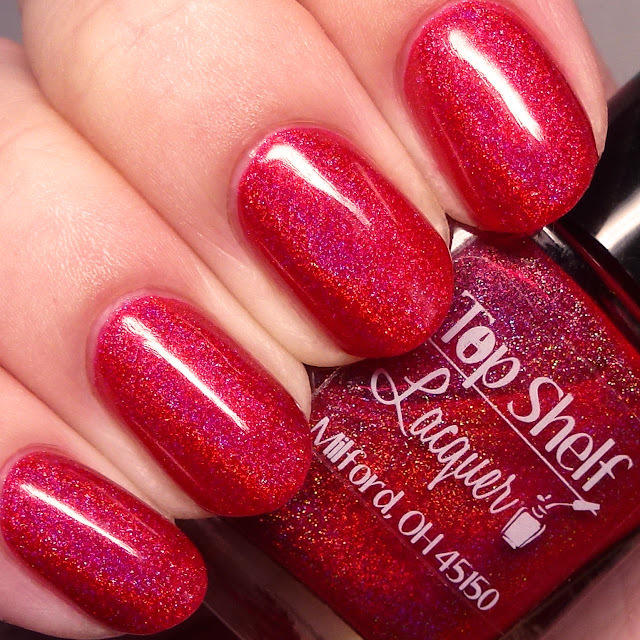 Top Shelf Lacquer is another new brand that has seen huge growth and success this year and I look forward to her creations in 2016! Her brand is drink-themed, which I love, and orders come with cute hand-made wine-glass rings that can double as earrings. 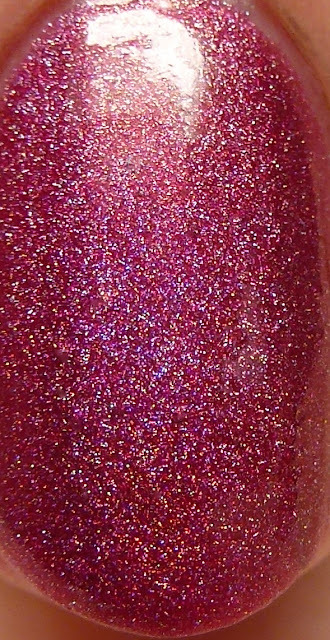 Turtle Tootsie Polishes Hemorrhage is from the debut Emergency Services Collection. Chrissy, the maker, works as a dispatcher, and this collection paid tribute to the adventures that emergency workers encounter on a daily basis. This shade was a standout from the collection for me and I can't wait for more! 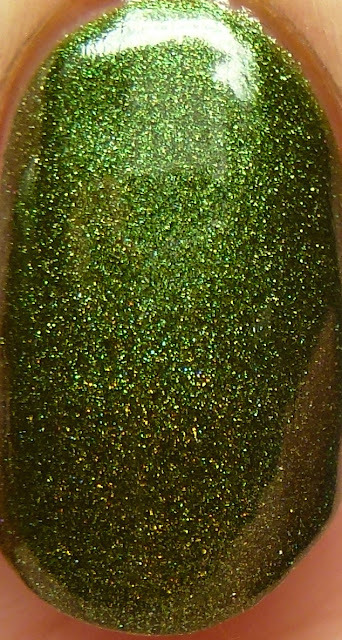 Vapid Lacquer Garota de Ipanema is a divine contrast shimmer that came with the Awesome Sauce Indie Box Exotica edition in July 2015. Vapid has seen tremendous growth this year and it has been great to see Krys get the recognition she has deserved all along! Vapid is now a permanent member of this box, and word to the wise - don't skip it! Garota de Ipanema was a big deal on the secondary market this year due to all the folks who wanted it after the pre-sale period was up! That wraps up my 2015 favorites - thanks for reading these epic posts! If you missed it, Part 1 is here. Again, thank you all from the bottom of my heart for reading my blog - you all have made this learning experiment into a rich and interesting part of my life. I am grateful to all of you and hope I can bring you more things to like in the next year.